Clomiphene Citrate (Clomid) is a compound that is very similar in structure to estrogen. Because of this likeness, Clomid is able to bind to estrogen receptors in the hypothalamus (a part of the brain that regulates ovulation). This prevents the brain from seeing the negative signal from estrogen that is being released by the ovaries. As a result, the hypothalamus continues to stimulate the pituitary gland to make FSH and LH. These hormones stimulate follicular growth in the ovary. Clomiphene citrate is administered orally in 50 mg increments (50, 100, 150) over 5 days. There are 2 common regimens for administration. Using the first day of menses as cycle day 1, Clomid is taken on days 3-7 or days 5-9. If follicular monitoring is used, an ultrasound is usually done on day 10 trough day 12 of the cycle. The actual release of the follicle using HCG is timed when the follicles reach optimal size. Pregnancy rates with Clomid range from 6-10% in most studies, however California IVF has experienced an average of 15 to 18% success with clomid and IUI. Pregnancy rates of 18-20% may be seen in certain populations of patients using IUI with donor sperm. Of the pregnancies that occur using Clomid, 85% will occur in 3 months. 99% will occur within 5 months. Treatment beyond 5 months is generally not seen as useful. There are various other medications that can be used with Clomiphene citrate. Among these are glucocorticoids like dexamethasone, estrogen, and metformin. Letrozole is an aromatase inhibitor that can be used to affect the development of follicles within the ovary. The mechanism of action is different than that of clomid but can be very effective at causing multiple follicles to develop. Letrozole, or Femara, can be used in combination with intrauterine insemination (IUI) for higher rates of pregnancy. Gonadotropins are hormone medications to make the ovary produce extra follicles. Gonadotropins include follicle stimulating hormone (FSH) and lutenizing hormone (LH). There are several different brand names of medications available. Some of the more common ones include: Follistim, Menopur, and Gonal-F. These shots must be used under the supervision of a doctor to prevent harmful side effects such as ovarian hyperstimulation (OHSS). Detailed mixing and administration instructions are provided by the clinic. More information about injectable medications used for infertility treatments such as Follistim, Gonal-F, Menopur, Repronex, and Bravelle can be found here. A newer method of using Lupron instead of HCG to trigger ovulation has drastically reduced the risk of ovarian hyperstimulation (OHSS). Ovulation is prevented by using GnRH antagonists and Lupron is used to trigger ovulation and prepare for the egg retrieval procedure. While it is still possible to see OHSS, it is considered very rare. Measurements of AMH, or antimullerian hormone can be used to estimate the ovarian response to stimulation medications and gauge the risk of OHSS. Physicians use this information to strategize which methods of ovarian suppression is used. Side effects you may experience while taking Lupron include hot flashes, vaginal dryness, and headaches. If these side effects occur, they will usually resolve after you start taking gonadotropins or estrogen. Lupron is usually overlapped with birth control pills to help coordinate the treatment cycle and synchronize the growth of follicles. The usual starting dose for Lupron is 10 units (0.1cc). Once patients start gonadotropins, the dose of Lupron is reduced to 5 units (0.05cc). In a frozen embryo cycles, or egg donor recipient cycles, Lupron is used in combination with estrogen patches to prepare the lining of the uterus for the embryo transfer. There are other lupron protocols such as the lupron flare and micro-dose Lupron. Patients will have specific protocols assigned to them and outlined on their medication calendars. Be sure to follow your directions that are individually assigned to you. These medications directly block the effect of brain’s stimulation of the pituitary gland. These medications are used to block ovulation and can act similar to Lupron. They can usually be taken for a shorter duration than Lupron. Great care must be taken to avoid accidental ovulation and timing of the medication is crucial. When used properly, these medications can provide equal prevention of ovulation as Lupron. Pregnancy rates are fairly equivalent for between the agonists and antagonists. Common antagonist medications are Cetrotide and Ganirelix. HCG has a chemical structure that is very similar to LH (luteinizing hormone) which triggers ovulation. HCG is also the hormone produced by pregnancies from the chorionic villi and placenta. A pregnancy test is essentially a test for the presence of HCG. HCG can be used to trigger ovulation at the appropriate time when your follicles are ready. Patients are provided individualized instructions on the dose and timing of HCG. Using HCG to time treatments is often referred to as the “trigger” or “release” as it refers to the release of the egg from the wall of the follicle and sets up the timeline for fertility treatments such as IUI or IVF. Once HCG is given there will be no further Lupron or gonadotropin injections. Brand names include Novarel and Pregnyl, and Ovidrel. The generic hCG may be labeled as “Chorionic Gonadotropin”. Progesterone is produced by the corpus luteum in the ovary after ovulation. During the retrieval process some of the hormone producing cells are removed from the inside of the follicles. As an attempt to support the lining of the uterus and prepare for implantation, supplemental HCG or progesterone is usually used. This supplemental HCG can further stimulate hormone production in the ovary and worsen the symptoms of ovarian hyperstimulation. Progesterone can be administered as a vaginal insert, injection, or vaginal gel. Progesterone support is usually continued until 10-12 weeks of pregnancy in IVF cycles. Progesterone in oil injections is the most common method for administering progesterone. The oil that holds the progesterone can make the shots uncomfortable. There are several tips that may help with your progesterone injections. Click for more information. There are various types of progesterone supplementation. Brand names include Endometrin and the vaginal gel Crinone. Vitamin supplementation has long been recommended in women attempting to conceive. You may use over the counter vitamins or prenatal vitamins as long as they contain 1mg of folic acid. If you eat a well balanced diet you may prefer to take only the folic acid which is available in 1mg amounts. Some women may need to take 4mg of folic acid based on certain risk factors. Consult your physician to find out which dose is right for you. Proper supplementation can significantly reduce the risk of neural tube defects. Many products are being advertised with the promise of helping sperm and improving pregnancy. Unfortunately, most of these claims are not back up by reputable data. There is a trend towards improvement with some of the anti-oxidant treatments but it is still too early to draw any firm conclusions. Some clinics are starting to use “Fertility Blend” more frequently. Caution should be used with all supplements as they are not regulated by the FDA and may contain ingredients which can actually hinder your efforts! Any substance labeled as “Dietary Supplement” is not regulated by the FDA. These supplements can contain all types of ingredients and do not have to have any proven effect. Unfortunately, the herbal industry is supported by billions of dollars and the advertising can be quite convincing. While there are likely some legitimate herbal supplements available, we encourage you to refrain from using them at this time. Some of these supplements may actually interfere with your fertility efforts. As more evidence is accumulated, fertility clinics will certainly embrace the help of anything that has a proven benefit. Many current medications are derived from herbs and natural compounds. After years of research they become labeled as medications and receive FDA approval. Your safety and success may be at stake. When used by a trained specialist, acupuncture and herbal medications prescribed by a specialist in Traditional Chinese Medicine specialist may have some benefit. 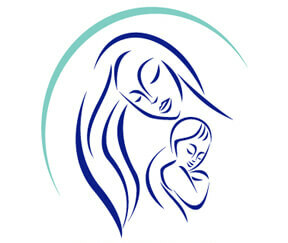 California IVF works with acupuncturists with experience in treating fertility patients. Herbal supplements are often taken during the preparation phase of fertility treatments and discontinued at the time of the embryo transfer.